First, I have finally uploaded quilts I have designed – click on the quilt pic on the Free Pattern page and the free pattern pdf will load. Enjoy! Most quilters I know are very grateful for the abundance of stash and scraps piled high in their studios. Charity quilts are made in abundance! 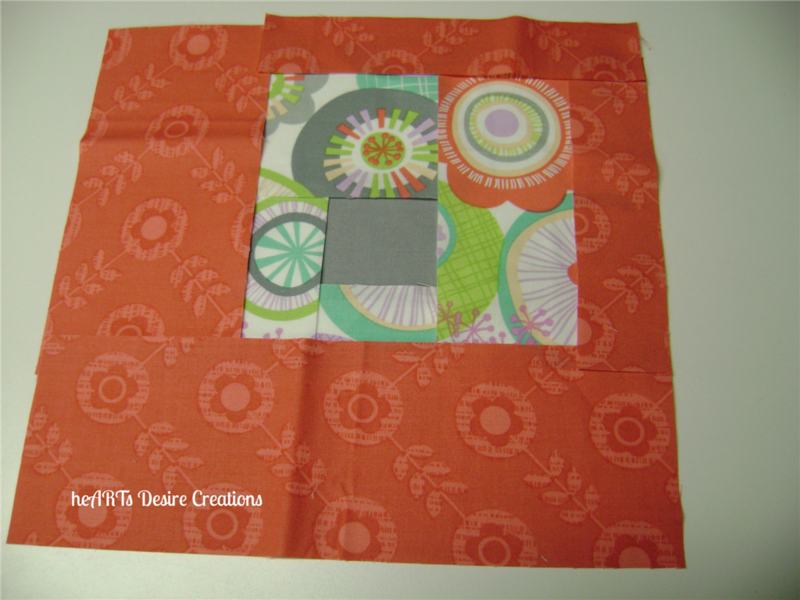 At this week’s Sew Modern retreat, blocks for two charity quilts will be made. For several years I made this a race – whoever finished their block first won. It made for some wonky blocks! Now, each person choosing to participate sews a block at their own pace (the blocks are all ready and precut for them) and when finished, they put their name in for a prize drawing. The result is more accurate blocks that can be put together with more ease. 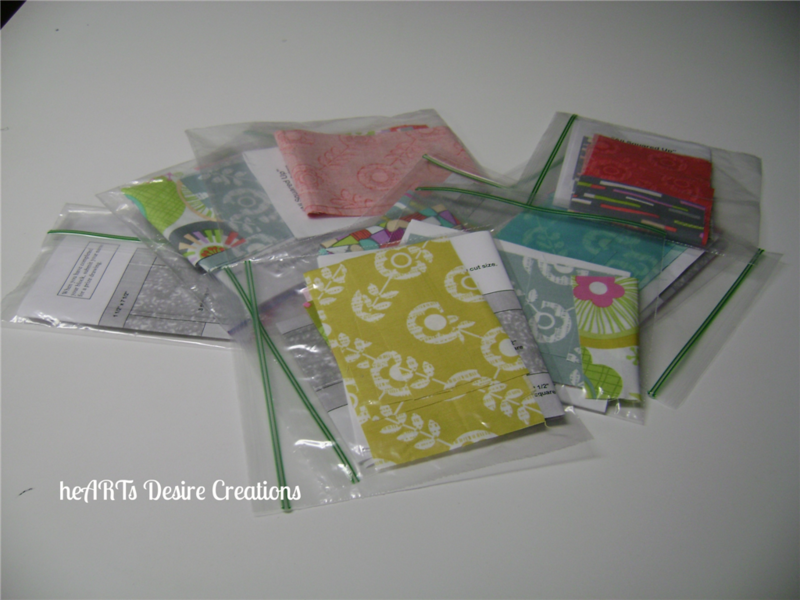 We’ll be using Erin McMorris’ La Dee Da fabric – fun colors and prints! This one is sure to put a smile on a child’s face. 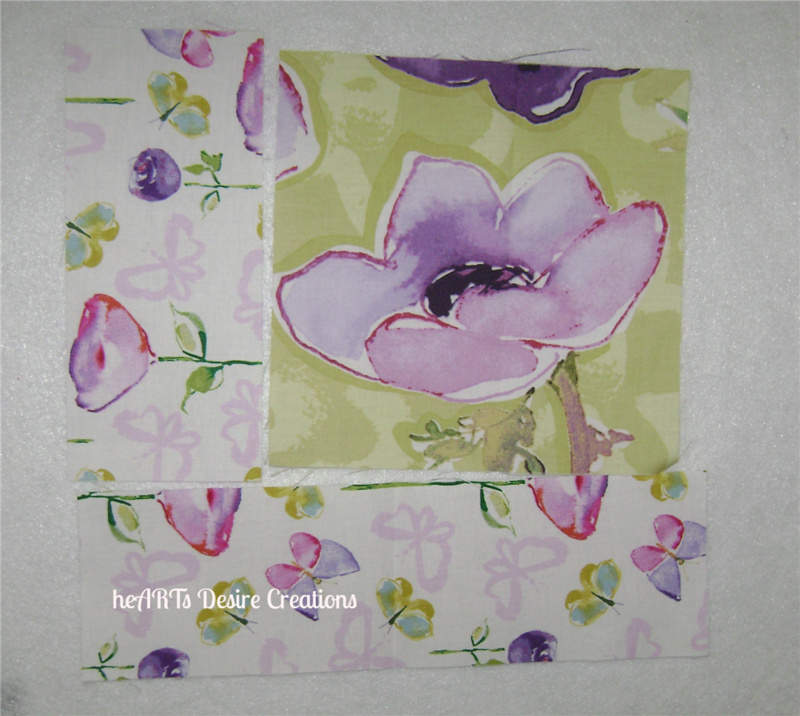 The second quilt will be made from Kathy Davis’ Enchantment fabric. These blocks have fewer pieces, so each “kit” has two blocks to be sewn. Doesn’t show up too well on the white design board, but it will make a lovely quilt. The winner will get a grand prize – what fun! And after all are put together into quilts, two very fortunate folks will receive a quilt made with love and fun. Note: The charity quilts are donated to various causes: children in hospitals, hospice patients, or women in abuse centers. 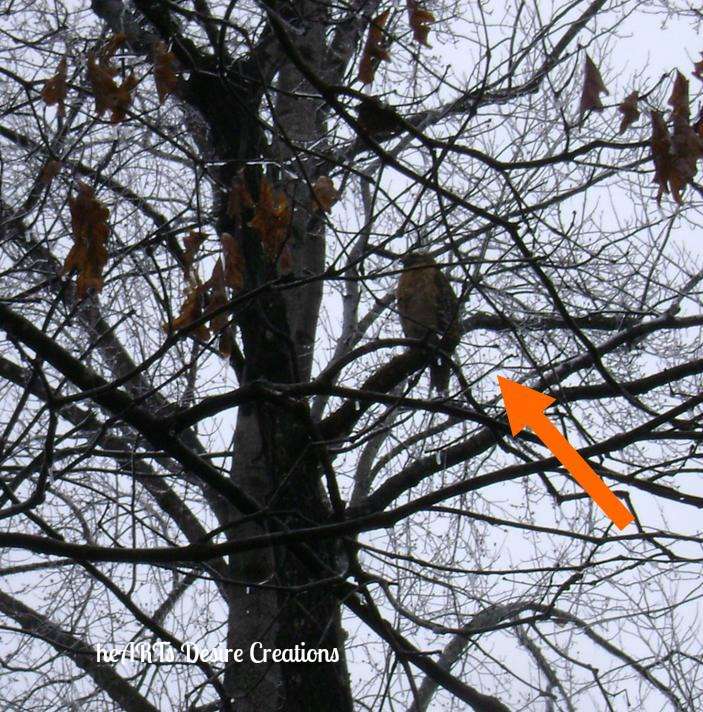 On another note, we have been fortunate to have a number of hawks at our house – there’s even a nest in the tree across the street! Not the clearest shot, but hubby did get this one. Amazing how fewer squirrels we’ve had menacing the yard! Posted in Fabric, Quilting, Quilting Retreat and tagged backyard birds, charity quilts, Quilting, Quilts, Retreats, Sewing. Bookmark the permalink.